To push India into top five pharmaceutical innovation hubs by 2020 and establish global presence by launching one out of every five to 10 drugs discovered in India at global level, the government is preparing for multi-billion dollar investment with 50 per cent public funding through its public private partnership (PPP) model to enhance innovation capability, reveals the joint study. The Indian Government has been very active in boosting growth and investment in Indian pharmaceutical industry. It allows 100 per cent FDI (Foreign Direct Investment) under automatic route (without prior permission) in the pharmaceuticals sector. 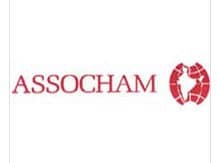 FDI favourably impacts the Indian pharma industry by providing access to more capital/funds for investing in Research and Development, which in turn, leads to creation of more IPR, highlighted the study titled 'IPR in pharmaceuticals: Balancing, innovation and access,' jointly conducted by ASSOCHAM and TechSci Research. The Government has been actively undertaking policy initiatives for growth of the pharmaceutical industry. One such initiative is tax-breaks in the pharmaceutical sector. There is also a weighted tax deduction at a rate of 150 per cent for the research and development expenditure incurred. Steps to streamline methods for development of a new drug molecule, or clinical research, etc., have also been considered. Indian Government also launched two schemes including New Millennium Indian Technology Leadership Initiative in 2003, and the Drugs and Pharmaceuticals Research Programme in 1994-95, specially targeted at pharmaceutical research, adds the study. The Department of Industrial Policy and Promotion (DIPP) data suggests that the drugs and pharmaceuticals sector in India has attracted FDI worth $1,523 million during April 2014-March 2015. Additionally, industrial licenses are not essential in India for most of the pharmaceutical products. Hence, drug manufacturers are free to develop any drug upon approval by the Drug Control Authority. The act of protecting one's innovation through a patent has initiated investments from many multinational pharmaceutical companies in India. These MNCs are looking at India for its strength in contract manufacturing and as an attractive base for research and development (Research and Development), particularly for conducting clinical trials and other services. Indian and foreign pharmaceutical companies are progressing with rising patented drug launches in India. The Indian Patent Office granted 2008 patents between 2010 and 2013. The Department of Pharmaceuticals has drafted Pharma Vision 2020 document, with an aim to establish India as a leading county for end-to-end drug manufacturing and innovation. This initiative by the government aims at providing support to Indian pharmaceutical sector through state of- the-art infrastructure, internationally competitive scientific research personnel for pharmaceutical Research and Development, and funding for research in the public and private sectors. The Central Drug Standard Control Organisation (CDSCO), which falls under the scope of the Ministry of Health and Family Welfare, is the main pharma regulatory body in India. The Drug Controller General of India (DCGI) presides over the CDSCO at both the central and state levels. Sun Pharmaceuticals acquired Ranbaxy Laboratories in 2015, in order to achieve full compliance with regulatory framework for drug manufacturing in India, meet expectations of Indian regulatory authorities, and increase Research and Development for launch of innovative products, thereby generating high revenues across India.